Few people think of the Affordable Care Act as an historic effort to bring about racial equity, but that is what it is turning out to be. In fact, it already stands as one history’s most successful pieces of public policy in reducing a racial disparity. In its first year of full implementation, from 2013 to 2014, Obamacare reduced the white uninsured rate by 2.6 percentage points. However, its impact among African Americans has been nearly double that number: a reduction of 4.5 percentage points. This faster rate of decline for blacks has narrowed the gap with whites in health insurance coverage to 3.6 percentage points. In 2014, Obamacare increased the number of black people with health insurance by about 1.5 million. The real remarkable stat, however, is seen among African-American children. Obamacare has eliminated the disparity between them and white children. In 2013, the uninsured rate for black children was 6.9 percent and 5.5 for white children. In 2014, the uninsured rate for both groups fell to 4.9 percent. While zero percent uninsured is the ideal, 4.9 percent is a relatively low rate. Hispanic and Native American children have uninsured rates of about twice that percentage. To paraphrase Vice President Joe Biden, Obamacare’s impact on African Americans is kind of a big deal. It is not easy to eliminate a racial disparity, even a relatively small one like the black-white health insurance gap for children. The sad reality is that people have been struggling for several decades with most of the issues racial justice advocates are still working on today. To put this Obamacare success into perspective, it is worth considering the Obama administration’s more explicit efforts to close black-white disparities. 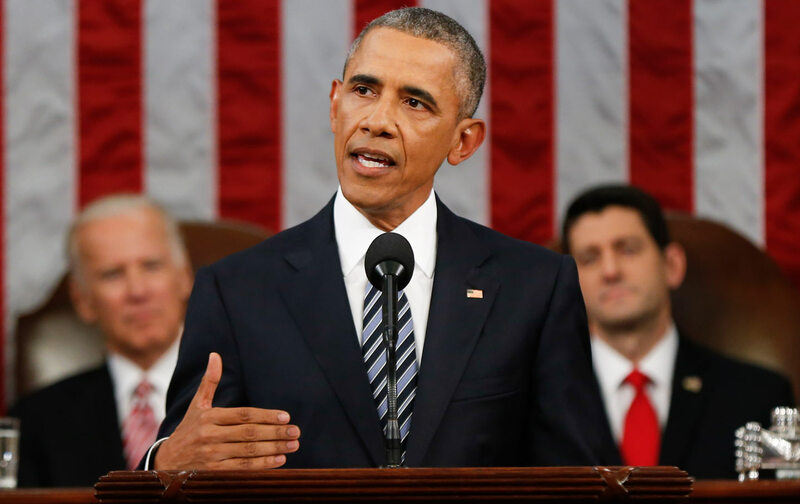 Many people will think of the My Brother’s Keeper initiative as a race-conscious effort. There has been a fair amount of discussion and debate about this initiative—perhaps too much. The attention that the initiative has received exceeds its significance. No doubt many important and useful activities will occur under My Brother’s Keeper, but it has too meager resources and too broad goals to move the needle on any disparity nationally. Let’s compare it, for instance, with the administration’s Race to the Top educational initiative. My Brother’s Keeper focuses on boys and young men of color nationally, a population about equal the size of the population targeted in Race to the Top. (Race to the Top is limited to 18 states and the District of Columbia.) The administration allocated $4 billion for Race to the Top, but raised only about $300 million from foundations and charitable organizations for My Brother’s Keeper. The nearly 200 communities who have accepted the My Brother’s Keeper challenge will add significantly to the available resources. But even with these additional resources, it is doubtful that My Brother’s Keeper has anywhere near the resources needed to achieve its many goals. It seems fair to say that after the Obama administration, there will still be much work to be done to ensure equal opportunity for this group. The Obama administration also has prioritized closing the black-white achievement gap as part of its educational reform. Obama’s first secretary of education, Arne Duncan, spoke eloquently about viewing educational outcomes as a key civil-rights issue of our time. The administration has supported the No Child Left Behind effort to close the achievement gap and, additionally, it has used Race to the Top to spur innovation and to improve outcomes in education. This concern and these efforts should be commended (even if one disagrees with the specific policies). But have these efforts closed the achievement gap? No. Looking at one of the best measures of academic achievement, the National Assessment of Educational Progress scores, the black-white achievement gap has not budged during the Obama administration. The administration can point to significant increases in the black high school graduation rate. But while these increases have narrowed the graduation-rate gap, they have not had nearly as much impact as Obamacare has had on the insurance gap. One of the more successful efforts of the Obama administration to close a black-white disparity is the Fair Sentencing Act, which President Obama signed into law in 2010. Prior to the Act, a person caught with 10 grams of crack cocaine received the same sentence as someone caught with 1,000 grams of powder cocaine, creating a 100-to-1 disparity. Because blacks are more likely to use crack cocaine, this law had a severe racial impact. The Fair Sentencing Act reduced this 100-to-1 disparity to 18-to-1. So this particular sentencing disparity has been dramatically reduced, but not eliminated. Social change is hard. Although the Obama administration’s achievements in reducing black-white disparities overall are modest, the administration’s record is probably better than average. The administration has reduced the high-school graduation gap, the crack-versus-powder-cocaine disparity, and the health-insurance gap. It’s also worth noting that while Obamacare has moved the country forward in providing health insurance to more Americans who need it, the insurance purchased through the exchanges continues the American tradition of being very expensive. Among rich, Western countries, Americans pay the most per capita for healthcare, while covering a smaller share of their population. While Obamacare is an advance, a broader Medicaid program or a Medicare-for-all approach would be better for more Americans, and it would move us much further along in reducing racial disparities in health-insurance coverage. Obamacare has brought a significant amount of progressive change to America’s health-insurance system. Unfortunately, this advance will almost certainly be undone if a Republican wins the presidency. And that’s the other tough reality when confronting racial disparities: Not only are they difficult to reduce, the progress one administration makes can be reversed all too easily. Algernon Austin Dr. Algernon Austin is a senior research fellow at the Center for Global Policy Solutions and the author of America Is Not Post-Racial: Xenophobia, Islamophobia, Racism, and the 44th President.